A difficult regional issue is the territorial and maritime disputes in Asia, between China and Japan (the Diaoyu/Senkaku islands), and between China and several ASEAN members (in the South China Sea). We in ASEAN have urged restraint by all parties, and have encouraged claimant states to resolve their disputes peacefully and in accordance with international law, including UNCLOS. We should seek to prevent any miscalculation or mishap which will set the region back for many years. This is also in the US’s interests because though the US is not party to these disputes, it nevertheless shares a fundamental interest in freedom of navigation and maintaining regional peace and stability. This, inevitably, is the operating environment for the LCS. Lee’s speech makes interesting reading: a characteristic mix of well-informed strategic assessment and careful hedging. On America’s role in Asia there is none of the wishful or fearful Australian agonising about US decline. Lee says: ‘The US, as the incumbent superpower … will remain dominant for decades to come, [it] naturally has interests to protect.’ It’s clear that Singapore is prepared to go a long way to help the US protect those interests even as it encourages Washington and Beijing to build a closer understanding. In a typically Washington moment, Reuters reported ‘two U.S. government officials who were not authorized to speak publicly on the matter’ said they expected Singapore to submit a letter of request for potentially ‘several dozen of the stealthy warplanes.’ This reporting reflects a growing sense that such an announcement will happen soon. It would be surprising if the issue had not been discussed by Prime Minister Lee in Washington and in this connection it is notable Lee said in his speech that US Defence Secretary Chuck Hagel will visit Singapore for the Shangri-La Dialogue at the end of May. A firm Singaporean commitment to acquire the stealthy fifth generation F-35 will create quite a stir in South-east Asia and beyond. Malaysia is expected to decide on a replacement for their MiG-29s after a June election. The F-35 is not in the mix, but the F-18E/F, Eurofighter Typhoon, Dassault Rafale, and Saab Gripen NG are being evaluated. Fraternal ASEAN neighbours though they are, no two countries watch each other’s defence acquisitions more closely than Singapore and Malaysia. 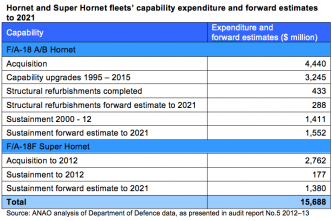 In Australia, media reporting continues to speculate that the government will announce an acquisition of up to 24 additional Super Hornets around the time of the release of the 2013 white paper. On February 27 this year the US Defense Security Cooperation Agency advised Congress of Australia’s interest (PDF) in a ‘possible’ purchase—including twelve aircraft equipped with ‘Growler’ electronic warfare technology. Such an acquisition, should it take place, will have to contend with the implications of Singapore’s likely move. Will Australia really consign itself to operating the second-best fighter aircraft in the region? Not a trivial question and not a trivial strategic outcome. Peter Jennings is executive director of the Australian Strategic Policy Institute. 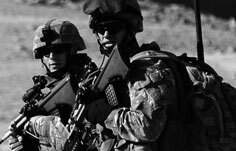 Image courtesy of Flickr user U.S. Air Force. 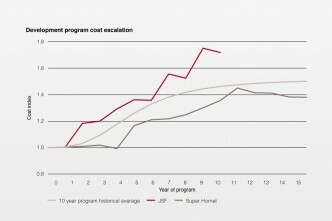 Disclaimer: Lockheed Martin, the prime contractor on the F-35 program, is a corporate sponsor of ASPI.